These are the second generation English versions of the Sailor Moon manga produced by Kodansha USA. This new release used the second generation "shinsobon" Japanese editions which featured new interior artwork, covers and script as well as several colour pages. 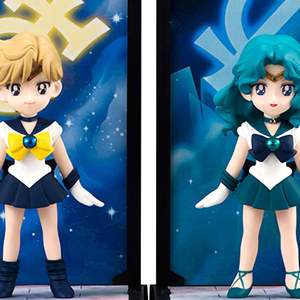 Unlike the first generation English Sailor Moon manga release, this version uses the original Japanese names (i.e. "Serena" is now "Usagi") and are un-mirrored (read in it's original right-to-left order as is the case with most books in Japan). While the majority of the characters' names are the same as the original Japanese there are several who's names are spelt incorrectly or translated strangely. The same can be said for several attack and location names, making this release not as "100% accurate" as the promotional materials claim. The dialogue can also be quite stiff and as a whole loses a lot of the fun and energy the first two generations of the Japanese manga had as well as the first generation English release by TokyoPop. In addition to the re-release of the Sailor Moon manga, the sister series Codename: Sailor V was also released for the first time in the English language. This second generation release features updated artwork and some content restructuring that make it slightly different than the first first generation release. Several chapters have been split or combined, the side notes on several pages have been replaced with new character sketches and the stand alone short stories have been removed from the main story arc volumes 1 - 12 and collected in two separate Short Story volumes. The second of these Short Story volumes also contains the rare Parallel Sailor Moon short story, previously unreleased in English and only available in the Japanese Materials Collection artbook. Each volume has an image and a link to where you can buy it online as well as a Pinterest "Pin It" buttun under the product image so you can pin it to your boards and share with your friends. 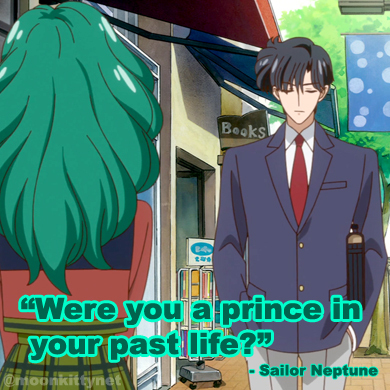 Happy reading, Sailor Moon fans! 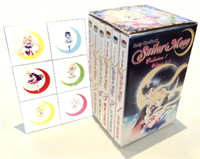 Contains Sailor Moon manga volumes 1 to 6 and comes with bonus stickers. Contains Sailor Moon manga volumes 7 to 12.